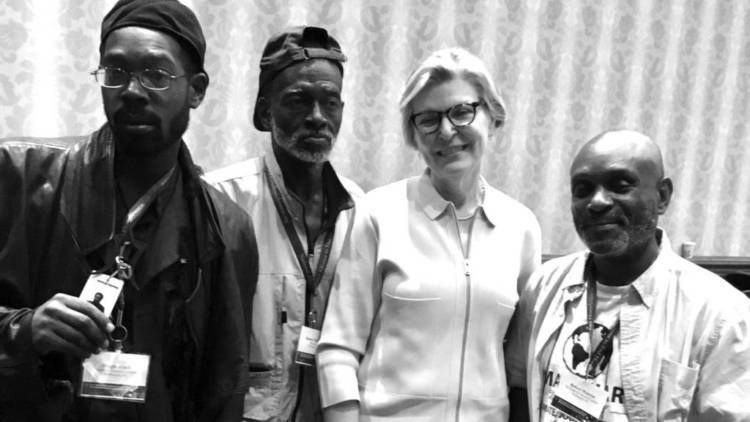 The week of July 17 I attended my eighth consecutive National Alliance to End Homelessness conference in the nation’s capital. This year’s program was held at the Woodley Park Marriot Hotel. Every other year that I have been able to attend, the conference has been held at the Renaissance Hotel on 9th Street NW. The new venue made it a little harder to get from place to place on time due to bussing complications in the downtown area. As in the past years, there was a lot of good information on how to better service the unhoused community. Nevertheless, we should be fighting for housing rights. 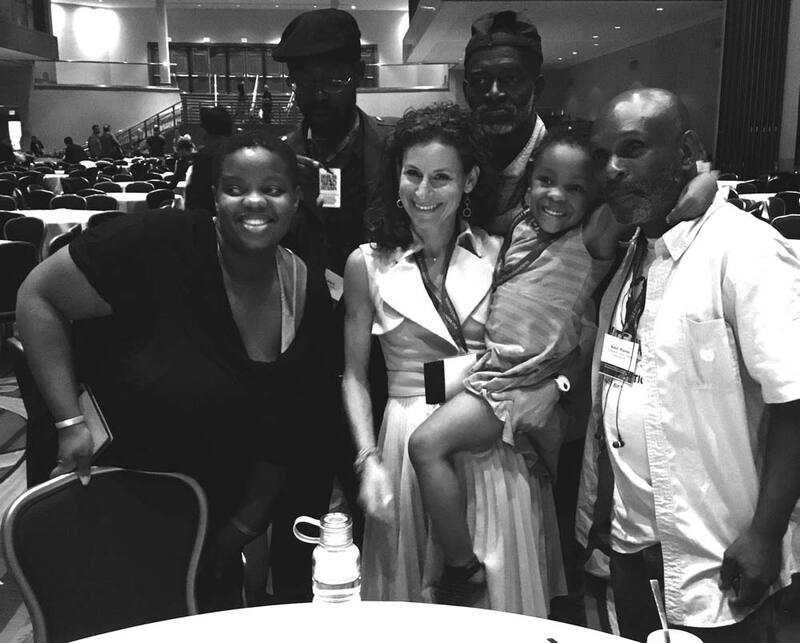 This year we had six homeless and formerly homeless Street Sense vendors attend to help cover the conference. We conducted interviews. We asked the hard questions of those who are in the business of helping people. We took photos, recorded videos and gained much needed information to share with the unhoused community about programs, new policy proposals and service changes that may all prove helpful in getting homeless people housed. This effort included an interview with Nan Roman, president and CEO of the National Alliance to End Homelessness. Roman talked to us for nearly 30 minutes and took the time to answer all of our questions. I told her about a service provider representative I had met at this year’s conference who indicated that this was his 18th conference. Roman asked me whether we will ever end homelessness. It is significant that the president of this national organization, hosting this conference, is pondering this. She said that we really need to give more people housing vouchers. This will be part of a new campaign that the National Alliance is organizing. I was very happy to hear that because it is the core belief of the People for Fairness Coalition and Focus Attitude and Commitment to Excellence that people have a “Universal Right” to receive a housing voucher if they quality for one. All six Street Sense vendors in attendance belong to these two local advocacy groups. Together, we have also been working to end all types of discrimination. Another highlight of the conference was the chance to talk with Laura Zeilinger, director of the D.C. Department of Human Services. She also took the time to answer all of our questions to the best of her ability. I asked her if she thought we would ever get to a universal right to housing in D.C., a self-designated as a “human rights city”. She didn’t straight out say “no,” but she said it would be hard to implement because of the incredibly high cost of any housing unit in the District. The keynote speakers this year were U.S. Department of Housing and Urban Development Secretary Ben Carson and the honorable Representative Maxine Waters. I was encouraged by what both had to contribute. I admit that I expected little from Carson as a conservative with admittedly little experience in government or housing and several well-known soundbites on poverty that seem out of touch. However, I thought he gave one of the best speeches I have ever heard coming from that side of the isle. He talked about providing housing vouchers for those who need them the most and about helping able bodied men and women to get back to work and to become more self-sufficient. I found myself agreeing with a lot of what he had to say. Congresswoman Waters brought the fire and received several standing ovations while pointing out some hard truths about President Trump’s proposed budget cuts. She spoke about how these will make things much harder for the unhoused community as well as for people in need of affordable health care. We ended our conference on the third day by going to Capitol Hill. For the second year in a row we visited the office of the Honorable Congresswoman Eleanor Holmes Norton. We shared with her staff the National Alliance’s policy asks. And we specifically asked for Norton and her staff to support the Michael A. Stoops Anti-Discrimination Amendment Act of 2017 that is now before the D.C. Council to make homeless people a protected class under the city’s human rights law. We concluded by voicing our hope to speak to the congresswoman personally in the near future. Until then, we will take the lessons we have learned this year and continue to organize around a model policy that will bring about a Universal Right to Housing for all those people Ben Carson and so many others talked about at this year’s National Alliance to End Homelessness conference in Washington, D.C.
Footage from this year’s conference will appear in the next documentary to be produced by the Street Sense Homeless Filmmakers Cooperative. This year’s National Conference on Ending Homelessness stood out because Representative Maxine Waters was present as a keynote speaker. She inspires me, as a reporter, because I’ve seen her speak on so many important topics. She’s always been there, from the so called “war on drugs,” to the bombing of the World Trade Center basement to calling for an end to South Africa’s Apartheid. When you think about someone with that long of a tenure in politics — everyone saw her. Now here she was in front of me, advocating for housing rights. “It’s truly time to sound the alarm,” Waters said to the crowd. “We all need to spread the word about how devastating the [Trump budget] cuts will be for American families.” One in four families need stable housing and have yet to receive it and 250,000 people are at risk of homelessness, according to Waters. “Shame on them for trying to raise rents on low-income families,” she said. In April, Waters introduced the Ending Homelessness in America Act of 2017, that would provide more than $13 billion over the course of 5 years to proven federal programs to end homelessness nationwide. The act revisited the congresswoman’s similar effort put forth in April 2016. She positioned her bill as a counter to the Trump administration’s budget request. At one point in the conference she called herself a politician. That’s not true, she is just like me: an organizer, with boots on the ground. “We have an obligation to do something to help people in the streets,” Waters said during her address. She urged attendees — a group of people whose job it is to put a roof over the heads of others — to please keep letting their community members know what they need to help the most vulnerable. “I want you to show up to our rallies,” Waters said. “Let’s get busy. Let’s get to work.” Her speech and attention meant a lot to me. The stories we tell can really make a difference. I think that people should take a long look at those who are improvising in any community. They may be more spirited than you know.